Time to respond to feedback, formally, for the second time. The P's and Q's are your points and questions: excellent ideas for me to consider ... hopefully with adequate answers. Thanks! Do Ask Do Tell - "Religion"
Most emphasis on "the good old days" is about comparing the current state of society to a time when moral values were stronger and centered on the traditional family structure. The problem is that those longing looks to the past are full of self-deception. Even The Puritans, who are often held up as an extreme example, were not what society has said they were. Premarital pregnancy, open discussions in church meetings about sexual behavior, and even second-trimester abortion were not at all out of place then. I'll bet you didn't learn that in American History class. On or near September 20th, I will record a show with responses to all of the feedback I have received so far. You have provided enough feedback to sustain an episode, but there is room for more. 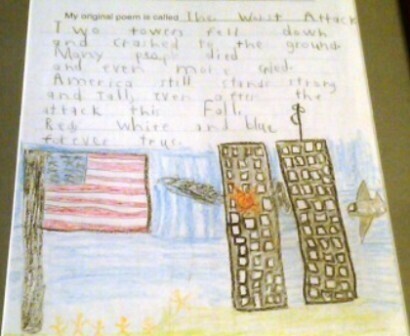 I shared my perspective about "9/11" on September 12, 2004, before a church congregation. I wanted to make note of three particular ideas because I could already see them fading from popular thought. Immediately following the terrorist attacks in 2001, it was easy to infer a consensus around these notions: evil exists, people are intrinsically valuable, and truth is not relative. Now, 7 years after that speech and 10 years after the attacks, it's clear that I was right to worry. We don't remember what we believed about those ideas in September 2001, and we can't satisfactorily explain why.